British Columbia introduced Core Competencies, including Personal and Social Competencies, into curriculum this year. 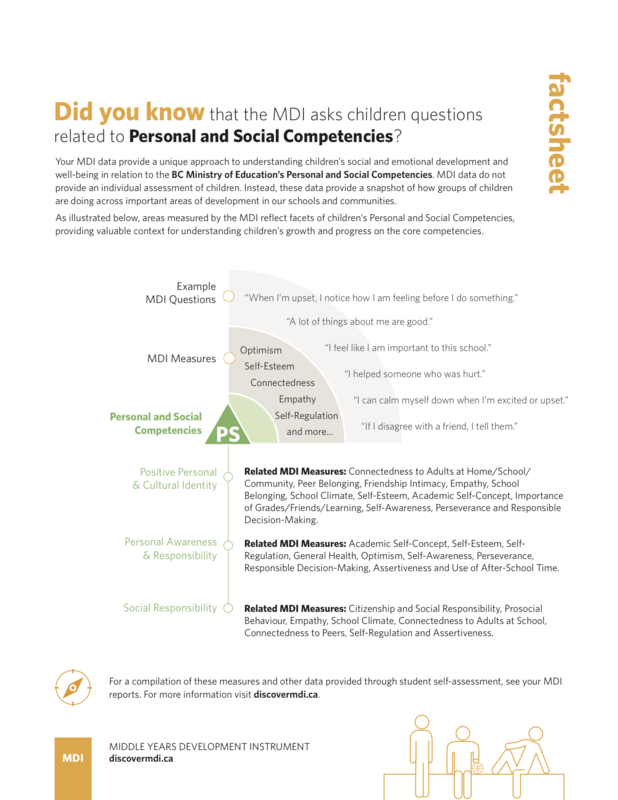 In both the content of this new curriculum, and in the method of measurement (self-assessment), we find a relationship between these new Core Competencies and features of the MDI. We’ll continue to explore this relationship over the year, and offer suggestions for how the MDI can assist teachers with this new curriculum. To start, see how the MDI and Core Competencies dovetail in this short pdf.